Impulse Decisions specialise in providing bespoke experience and hospitality packages across the globe. 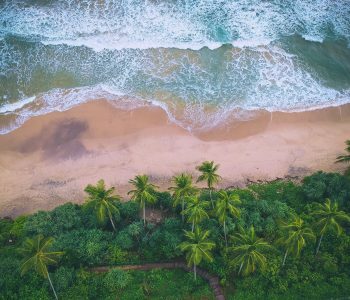 Our tailored selection of packages ranges from VIP hospitality at sports events, to luxury escapes at some of the world’s most desirable destinations. Why not get in touch with our dedicated Experiences Team at sales@impulsedecisions.com to find out more about one of our bespoke experiences or corporate hospitality packages. Whatever your sport, wherever the destination and whatever your requirements, we will provide you a personal and professional service tailored to your needs. Below are some examples of our experience and hospitality packages. Please note, the details of these experiences are subject to change. Please contact sales@impulsedecisions.com to find out about the most up to date list of experiences available. Be sure to check back for updates and new additions to this section! Discover colourful temples, palm fringed beaches and an abundance of wildlife in a land where cricket is practically a religion to the locals. 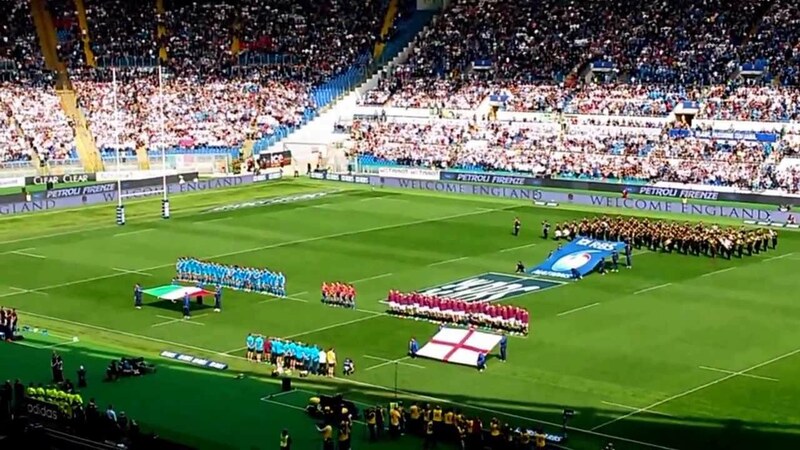 England will play 2 Test Matches in one of cricket’s most popular destinations, Sri Lanka. The great cricket combined with exploring a beautiful country makes this a perfect sporting holiday. What a way to enjoy a day at the races! Our superb, luxuriously appointed marquees are situated in the hub of the Tented Village, only 50 meters from the Guinness Grandstand and minutes from the Parade Ring and ﬁnishing straight. 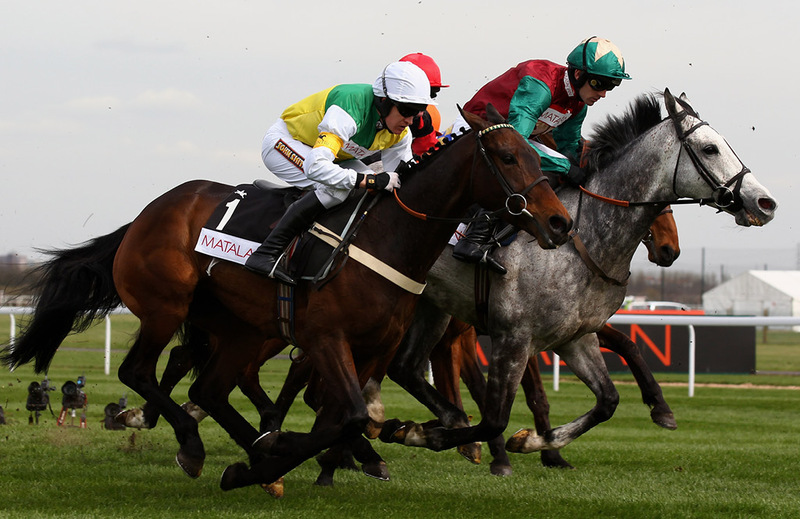 This is a hugely popular and great-value facility providing the quintessential ‘Cheltenham Experience’ – it is further enhanced by our popular celebrity tipsters and our famous VIP red-dress hostess service. A fabulous opportunity for you and your plus 1 to experience the city of Rome for a long weekend of rugby and culture. You will enjoy three nights Five star accommodation at the fabulous Rome Cavalieri, Waldorf Astoria Hotel. 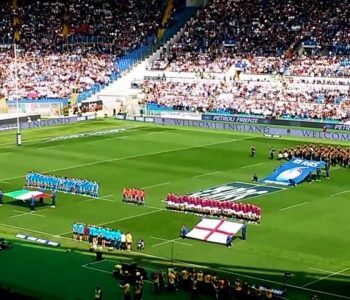 Whilst in Rome, you will enjoy a tour of the Colosseum plus the winning bidder will receive two match tickets to see Italy vs England in the 2020 Six Nations at the Olympic Stadium. 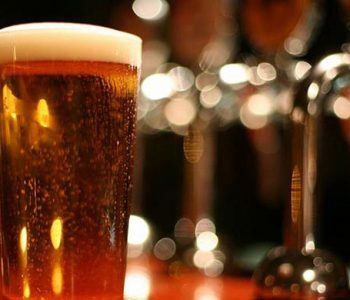 You will also attend a private pre-match gala dinner hosted by a former England International who will give their expert opinion ahead of the big game. 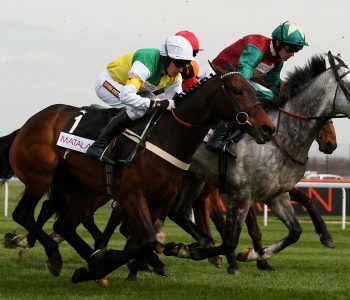 Friday 14th – Monday 17th February 2020 *dates subject to change in line with the fixture. Private Tour of the Colosseum. 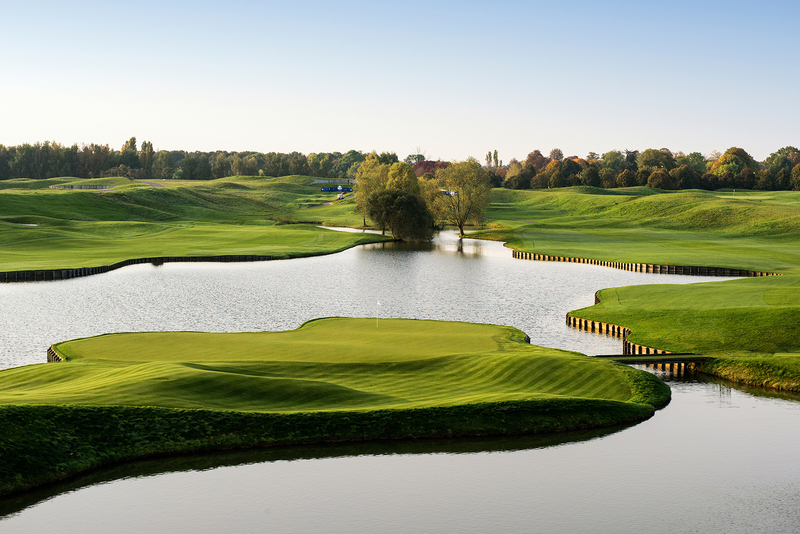 A fabulous two day golf experience to Paris where you will play two rounds of golf on the world famous Le Golf National, the course where Europe successfully won back the Ryder Cup in 2018. 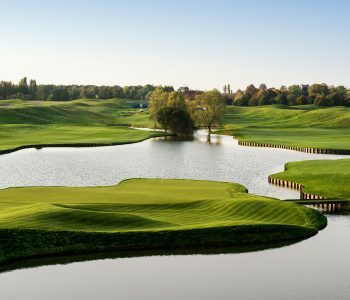 Also included in your trip is two nights’ accommodation at the on-site four star Novotel St Quentin en Yvelines Hotel with a private evening dinner on the middle night. Private evening dinner with wine. Subject to availability. Excludes flights and transfers. 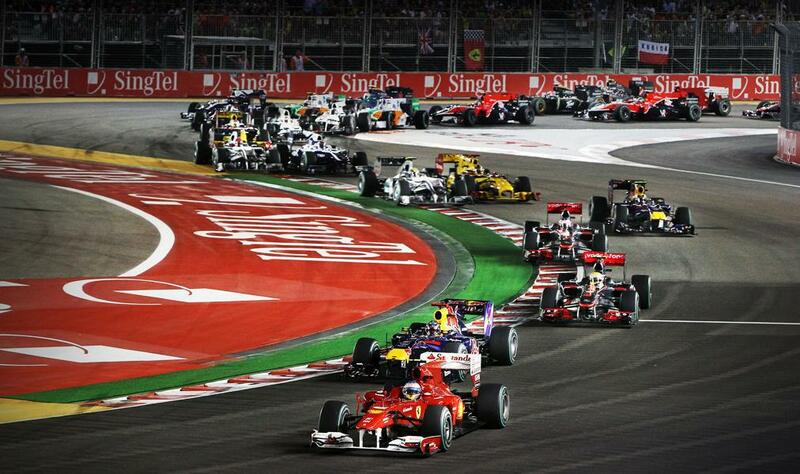 Gear up for the world’s only Formula 1 night race next September in Singapore! 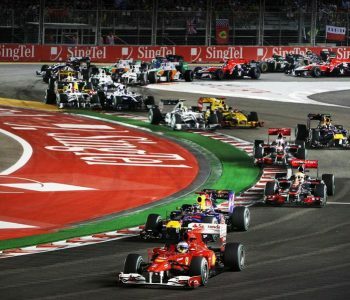 Held on the streets surrounding the Marina Bay district of Singapore, two very lucky fans will be going to not only enjoy a long weekend at this beautiful location but witness first hand the adrenaline rush of a F1 Grand Prix! After the race on Sunday night you will have opportunity to mix and mingle with F1 drivers and celebrities, along with your fellow F1 enthusiasts at the exclusive post race party. The Podium Lounge is recognised as the ultimate A-List party for the racing community, situated within the track and directly across from The Paddock Club. The lavish Grand Prix Season After-Party is located in the stunning Grand Ballroom of the famous Ritz-Carlton, Millenia Hotel. Your evening features a sizzling line-up of headline artists, fashion shows, live entertainment and high octane partying for its elite guests. Flights not included. Dates to be confirmed. Tickets to the Podium Lounge post race party on Sunday. 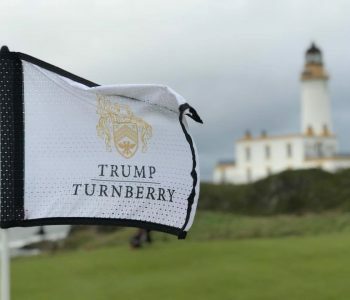 On the 9th September 2019 you and 3 guests will play in one of the most exclusive golf days in the golfing calendar on the Ailsa Course at Turnberry. The Ailsa Course has played host to the Open Championship on several occasions. 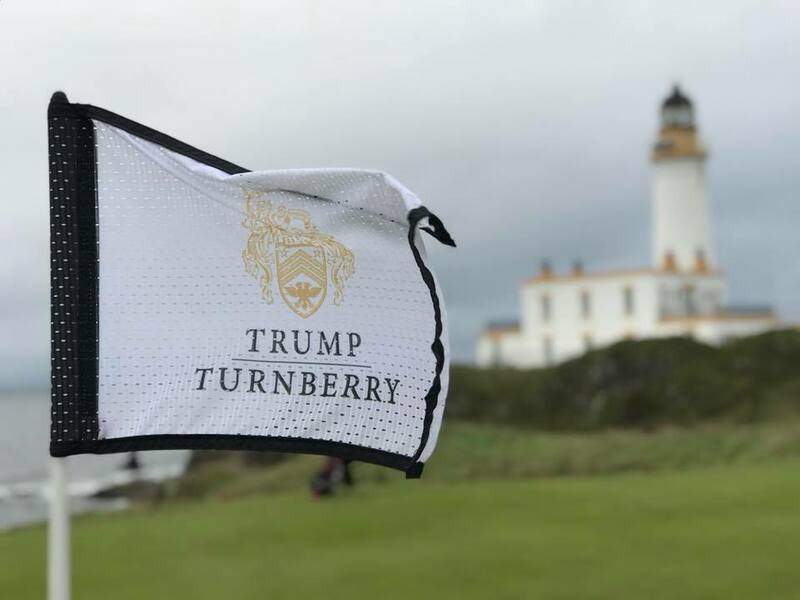 Following your round of golf you will stay at the 5* Turnberry Hotel where you will enjoy a gala dinner and full night of entertainment. 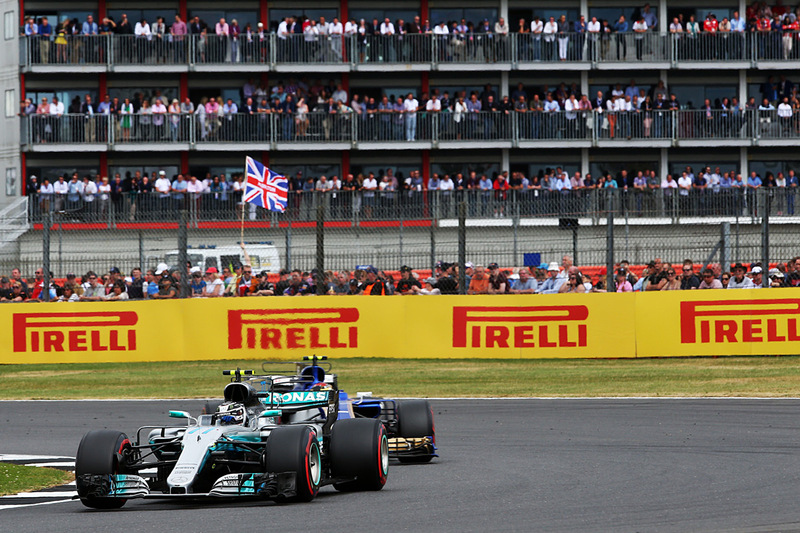 A wonderful opportunity to join us at Silverstone for the British Grand Prix on Sunday 14th July 2019. You and three guests will enjoy hospitality at Whittlebury Park before transferring to the course to watch the race unfold. Hostess service & individual guest wallet. Please note date is subject to change, overnight accommodation not included. 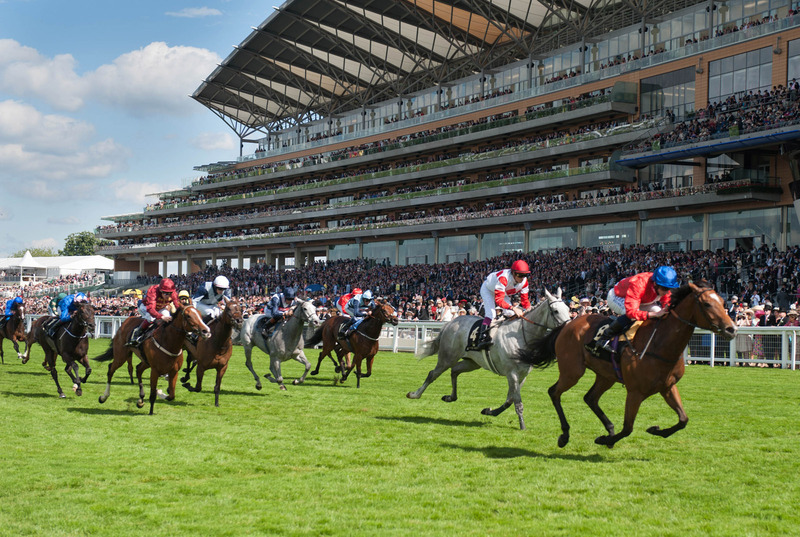 Within the Royal Ascot Pavilion lies a world of elegant sophistication. 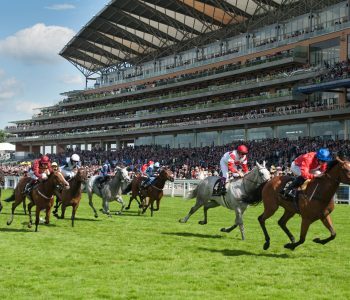 This historic building combines the heritage and elegance of Ascot with sweeping views across the Plaza towards the Parade Ring; a vibrant restaurant from which to enjoy the delights of Royal Ascot. 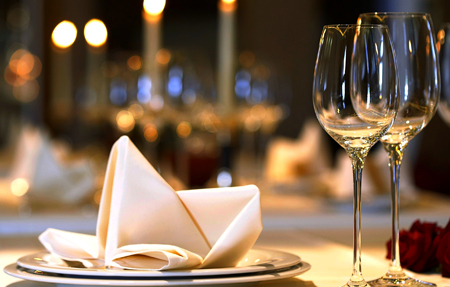 With its great menu and location, this facility is exceptional value. A fabulous day out! You and your guest will enjoy three nights in the fabulous Cannes. The city is known for its association with the rich and famous, its luxury hotels and restaurants. 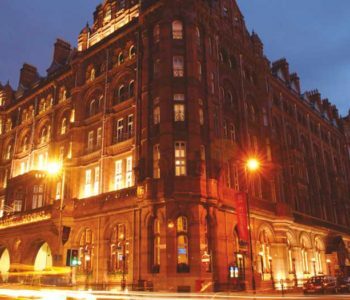 Your accommodation is in the newly refurbished and world renowned 5* Grand Hyatt Martinez Hotel. You will be staying in a Suite at this wonderful hotel. 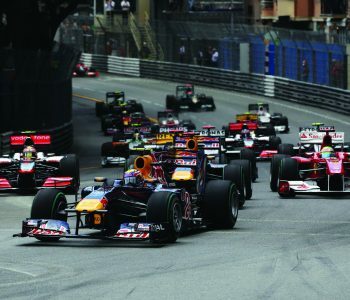 On the Saturday, you will be taken to the qualifying at Monaco GP where you will see the drivers fight it out for pole position. 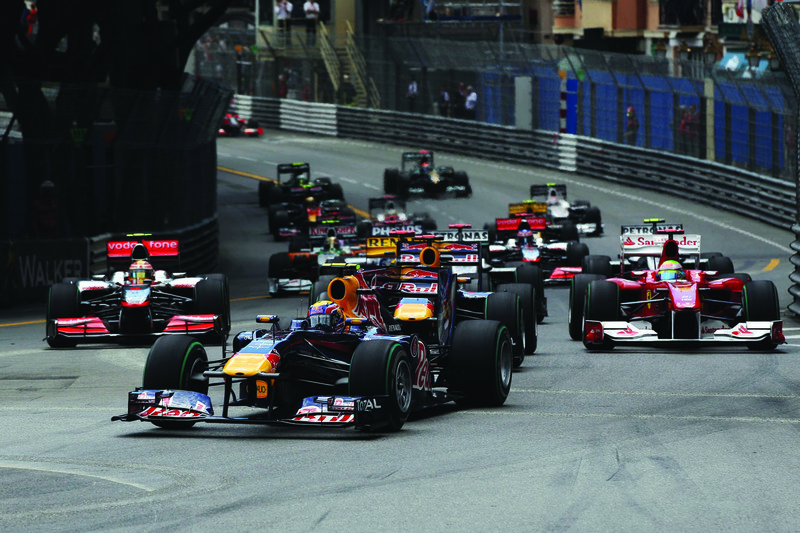 The following day (Sunday) is where you will experience an action packed day at the Monaco Grand Prix. You will receive Grandstand Tickets for the Saturday & Sunday at the 2019 Monaco GP. A truly unforgettable experience. Dates: 24th, 25th and 26th May 2019 (dates subject to change). 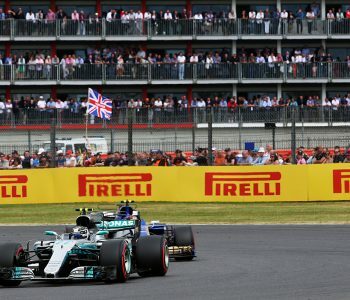 Flights excluded but transfers to and from the Grand Prix included. Accommodation based on Twin Sharing and including Breakfast. 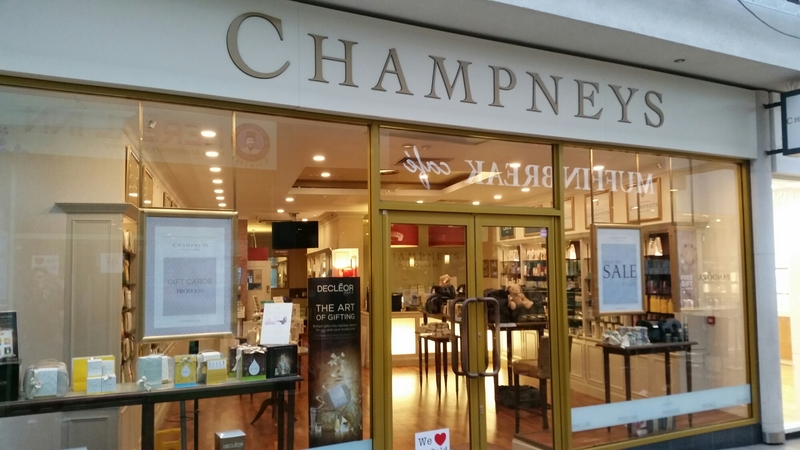 Champneys, the original health spa is a name synonymous with health, well-being and beauty and has been the leader in its luxury field for over 90 years. 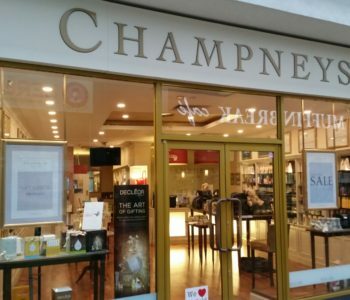 The world class destination spas employ beauty therapists, fitness instructors, chefs, nutritionists and well-being practitioners to ensure you experience “the Champneys way”. This package includes two nights accommodation in a premier room (double or twin) along with all the benefits of being a Champneys premier guest. Your stay can be used in any of the four Champneys resorts based in England and is valid seven days a week throughout the year, subject to availability. In addition to your room only stay you will receive £500 to spend on food, beverages, spa and beauty during your visit. Valid for one year from date of purchase. Villa Le Maschere was built in the 16th century and has long been a favourite of popes, celebrities and artists. Located north of Florence and situated on the stunning Lake Bilancino this beautiful Tuscan Villa boasts two outdoor stone pools, panoramic views, fully equipped spa, renowned Tuscan restaurant and forms part of the small luxury hotels of the world portfolio. 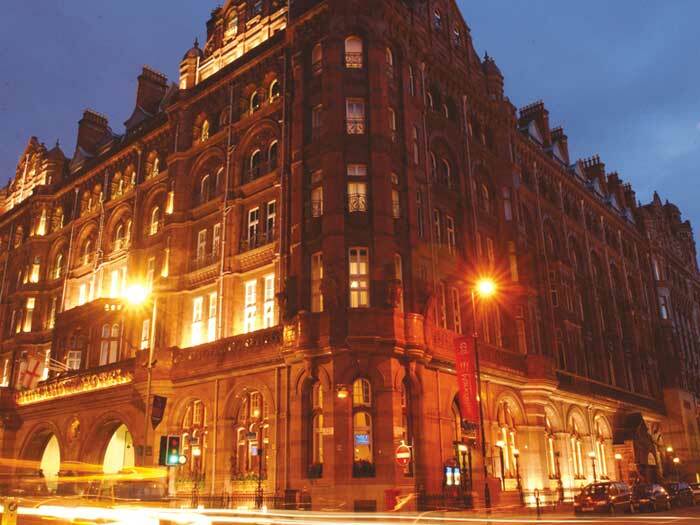 Your package is a two night stay for two people staying in a Superior room with breakfast. 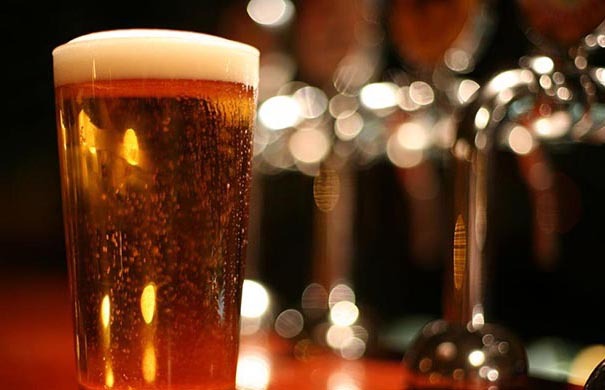 In addition, you will also be greeted with a bottle of Prosecco on arrival and a three course dinner in their flagship restaurant. Valid for one year subject to availability. Excludes flights. 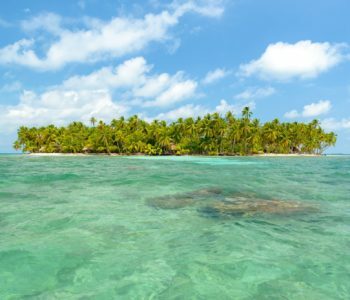 Located in the Pearl Cays, Calala Island is a secluded and private island resort in the Caribbean and is a 45 minute boat ride from Pearl Lagoon. 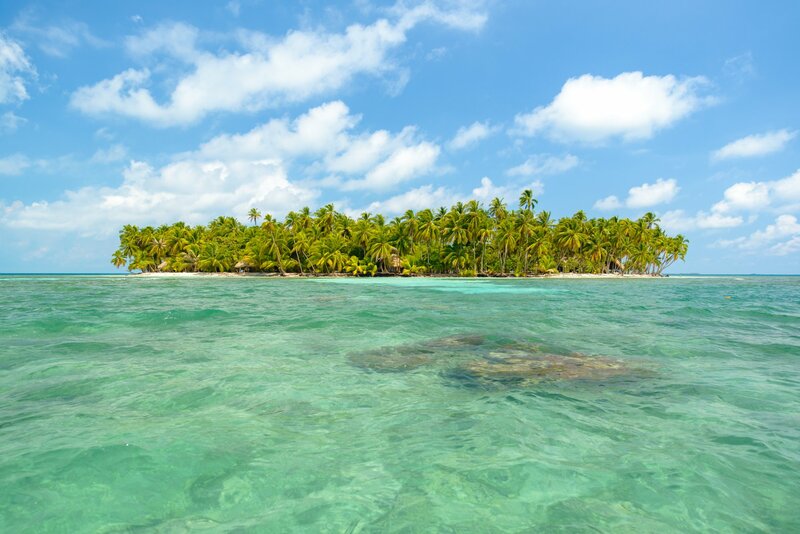 The private, 10 acre island paradise includes accommodation in a luxury beachfront suite. 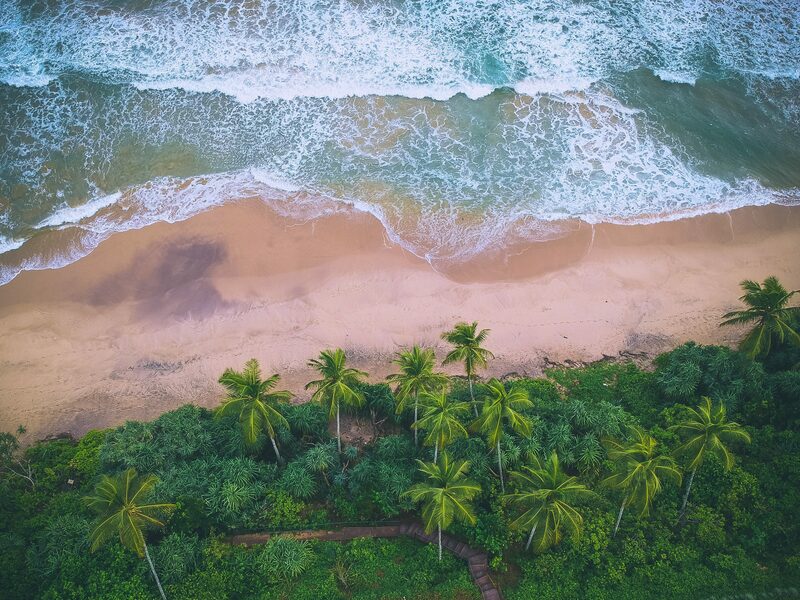 In addition to the island’s many stunning beaches, the resort also boasts a freeform swimming pool, Caribbean style restaurant and bar, world-renowned snorkelling sites and excellent fishing opportunities! Included in your seven night stay (where there is a maximum of six other guests on the whole island!) you have the islands private chef serving you breakfast, lunch and dinner (including freshly caught local Lobsters) and a fully stocked all-inclusive bar (excluding champagne). For the more adventurous guests, take advantage of the skipper to explore the many local islands and enjoy watching the famous Hawksbill Turtles or alternatively soak up the sun whilst sipping a cocktail in one of the many island hammocks and watching the sunset over this tranquil paradise. Valid From 1 January 2017 for 12 months – Internal flights from Managua International Airport and boat transfers are included. Excludes Christmas and New Year, subject to availability. At one of London’s most hidden locations you and nine guests will enjoy a superb night with sporting greats. Legends from their game will be in full swing telling stories from there illustrious careers from the world of football, cricket, rugby plus many more sporting disciplines. You are bidding for a table of ten where you will also receive a BBQ Style meal plus lots of entertainment along the way. A very relaxed and intimate evening for all the guests where the legends let you into the high’s and low’s of their careers. This is a great evening for all sporting fans in the audience. In 2018, we welcomed England Cricket legend Steve Harmison, Former Badminton world champion and silver medallist at the Athens Olympic Games Gail Emms, one of the all time great Gunners Paul Merson and England’s record international try scorer Rory Underwood! At the 2019 event we’ll have a fresh line up of legends from a variety of sports, so expect another fantastic night. Watch the world’s best golfers battle it out for arguably golf’s most prestigious prize, the Green Jacket. You will enjoy three nights’ at the 4* Aloft Hotel in Columbia (based on twin sharing). 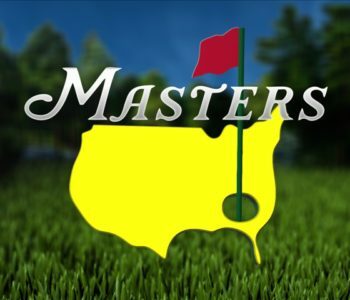 You will also enjoy a round of golf at Cobblestone GC on the Saturday before embarking to the US Masters Tournament for the final day’s play on the Sunday. Here you will experience full hospitality at the fabulous 1018 Club where you will enjoy breakfast, lunch, afternoon refreshments and a complimentary bar. Following the presentation of the Green Jacket we have time for a final farewell cocktail at the 1018 Club prior to travelling back to Columbia early evening. Flights and flight transfers are NOT included. 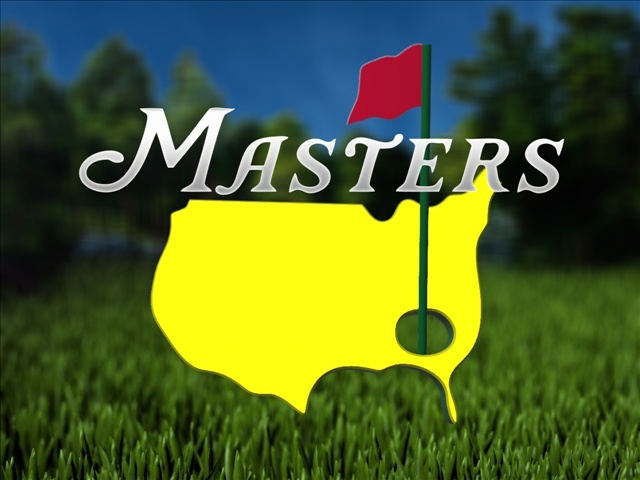 However, transfers to and from Cobblestone and the Masters are included. 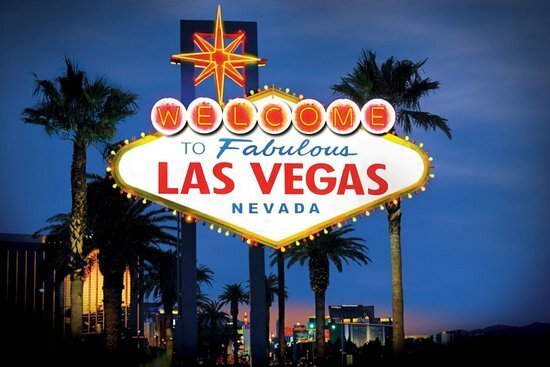 Enjoy five star luxury at one of the best hotels in Las Vegas. Floor to ceiling views of Vegas from your room. The Trump International Hotel is opposite the fabulous Fashion Mall. 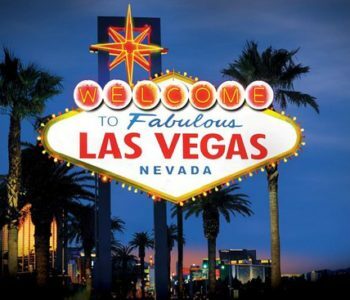 Your stay includes a thrilling helicopter rider over the strip, VIP access to some of the hottest clubs and VIP access to some of the coolest pool parties! Flights & transfers NOT included. Can be taken most months of the year except blackout dates. Room only accommodation. Prize includes room taxes & resort fees. For 2 or 4 guests, four nights. 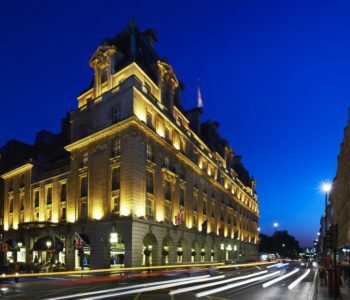 A wonderful opportunity to enjoy a fabulous weekend in London where you will enjoy an overnight stay in a double room at the Ritz Hotel, arguably London’s most famous Luxury Hotel. Also included in this break away is afternoon tea at the fabulous Fortnum and Mason. To remember your Fortnum and Mason experience, we will also send you a Champagne Afternoon Tea Hamper. Accommodation is subject to availability and excludes Christmas, New Year and Bank Holidays. 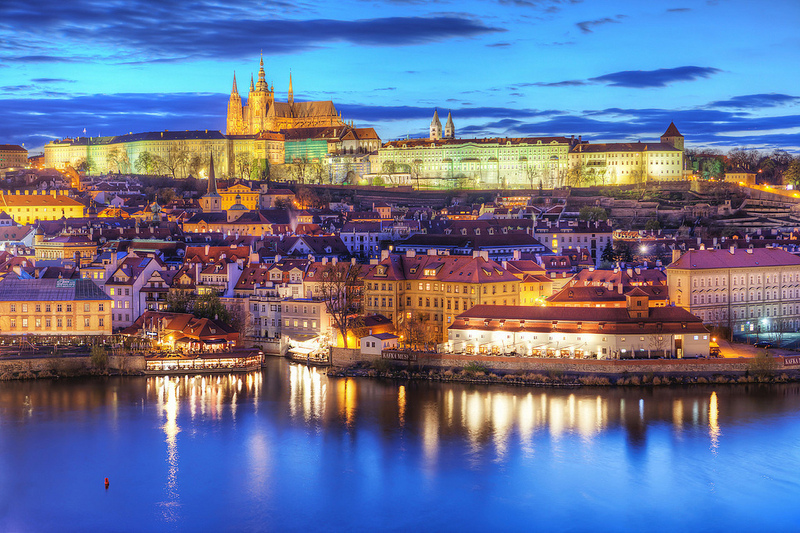 Visit the magical Prague and soak up the extraordinary charm in this historical yet modern city. 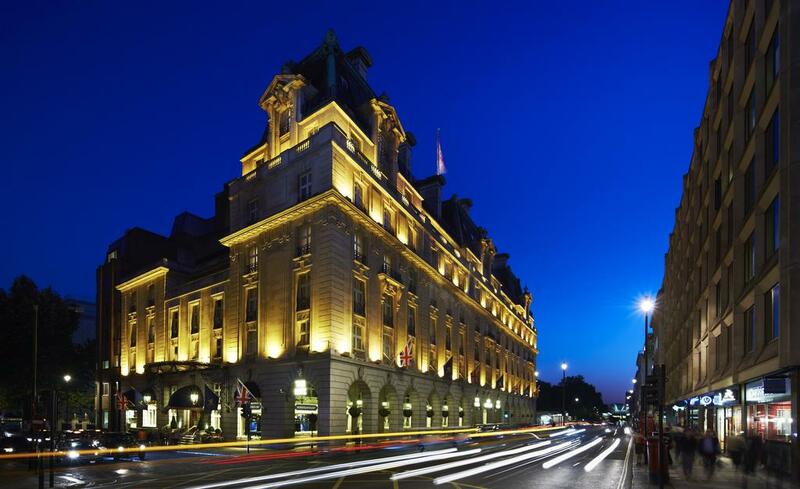 You will be staying at the five star Corinthia Hotel and Spa for two nights. Your stay will include breakfast each morning, one 60 minute treatments per person and access to the luxury swimming pool, jacuzzis, saunas and spa. 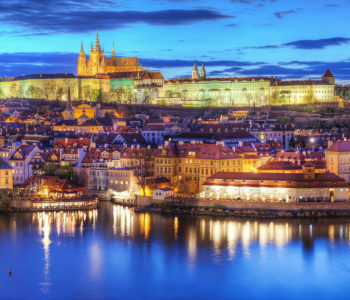 On an evening of your choice you will enjoy an unforgettable river cruise which marries a gourmet a la carte menu with elegant surroundings and enchanting music. Valid for 12 months, subject to availability. Flights not included. 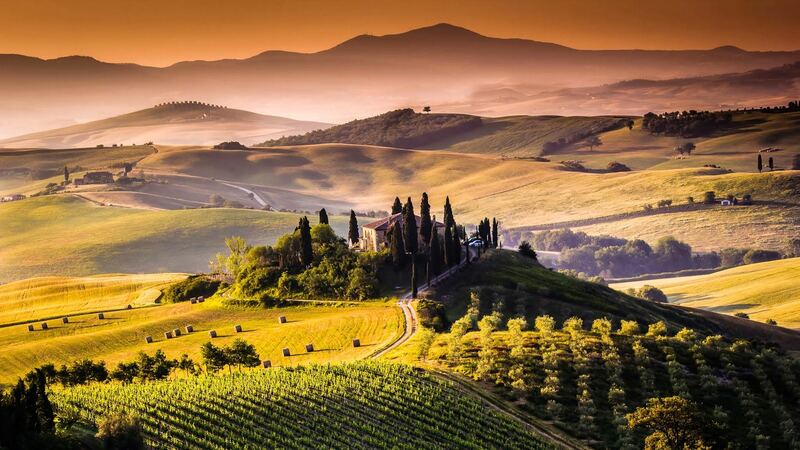 A three night weekend or four night midweek escape in Tuscany awaits! You’ll be staying in a stunning two bedroom, two bathroom luxury apartment within the historic walls of Cortona, close to the Main Square. 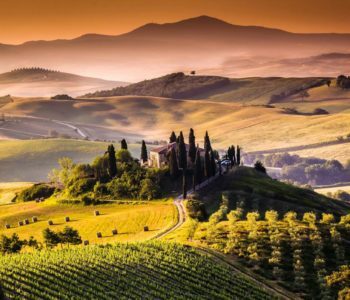 A delightful Italian town in the heart of Tuscany, made famous by the book and film ‘Under the Tuscan Sun’. You will join a fabulous private guided foodie walking tour with multiple tastings and samples to die for! A delightful wine tasting matched with cheeses and ham, with £25 credit per person to spend on your favourite wine following the tasting. Included is a guided tour of the town’s jewellery store located in an old palace along with prosecco enriched with gold and silver flakes! This is a truly incredible Italian break you will remember forever. Friday to Monday or Monday to Friday. Available until November 2019, subject to availability. Flights & transfers not included. Please note: Cortona Old Town contains steep lanes. Prize is for four guests, one apartment, two bed. 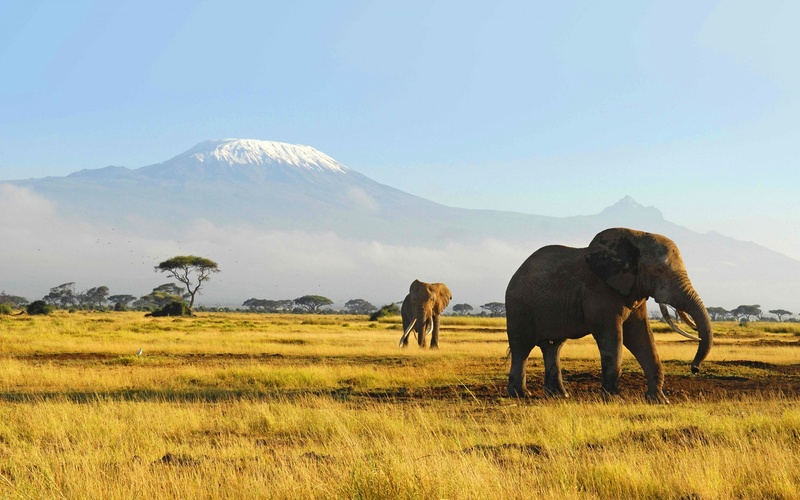 You will be staying in a Kuzuko Lodge private chalet, each with a private deck offering spectacular views of the malaria free ‘big five’ reserve below. Kuzuko Lodge is situated within the Addo Elephant National Park in South Africa. 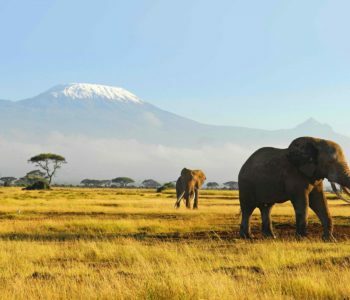 The Addo Elephant National Park – the third largest national park in South Africa – lies hidden within the cavernous bushveld of the Eastern Cape, and offers uninterrupted views of the Karoo Plains and the Zuurberg Mountains. Please note flights and transfers are not included in this prize but can be arranged through the resort. Accommodation is subject to availability and valid for 12 months from date of purchase; extensions are available at additional cost. Access to the outdoor pool. Treat yourself and someone special to some much-needed luxury and indulgence with a pampering spa experience at one of 19 spas at QHotels, the four-star hotel chain awarded AA Hotel Group of the Year 2014-15. With a soothing environment and friendly staff, this experience will leave you both feeling deeply relaxed. Your relaxing day includes a 50-minute professional treatment each; you may choose from a selection of six, including a Relaxing Face and Back Ritual with ESPA and a GELeration Foot Spa Ritual, so whether it’s hands, feet, muscles or skin you’re looking to refresh and revitalise, there’ll be a treatment for you. To ensure you don’t spend your day feeling peckish, you’ll also savour a delicious two-course light lunch together. And the pampering doesn’t end there, as you are also welcome to make use of the spa facilities – so you can swim and steam to your heart’s content! Valid Sunday – Friday subject to availability. A fabulous opportunity to take you and 5 guests to Spain for a relaxing family break or a wonderful golfing trip with friends and family. The Villa has 3 double bedrooms and 2 living rooms and is fully air-conditioned, with its own large garden and situated just a 3 minute drive to the Club House. 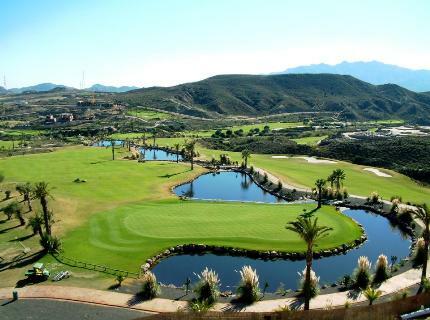 The Villa also offers fantastic views of the golf course and the mountains. The garden, which has its own swimming pool has 4 different areas to eat from and the Villa is protected from a quiet road outside by a flower-covered wall and a double garage and is therefore ideal for families with children. 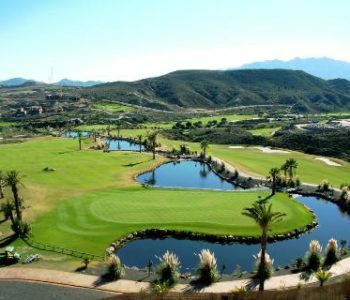 Valle Del Este is a spectacular new resort course designed by Jose Canales, and is a welcome addition to the golfing landscape of the Almeria province. Valle del Este is located on the eastern coast of Almeria, in Andalusia. Almeria airport is only 40 minutes away, while Murcia airport is little more than an hour away and Alicante airport is 1.45 hours away. Available for one week, Saturday check in from May – September 2019. July and August dates incur a £150 surcharge. Please note flights and golf are not included. Valid for 12 months. Subject to availability. An Executive Chef will come to your house along with all the ingredients needed to create a culinary feast for you and your guests. 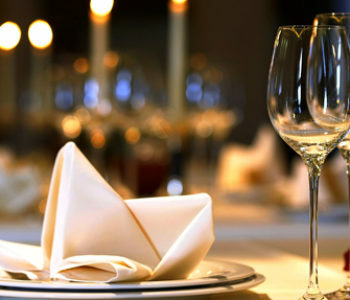 Accompanied by a Commis Chef they will provide a sumptuous 7 COURSE tasting menu; from canapes to dessert you will indulge in a night of culinary bliss. The chefs will also do the washing up for you! Takes place anywhere in England Sunday to Thursday evenings (subject to availability). Drinks NOT included. For maximum 10 people.